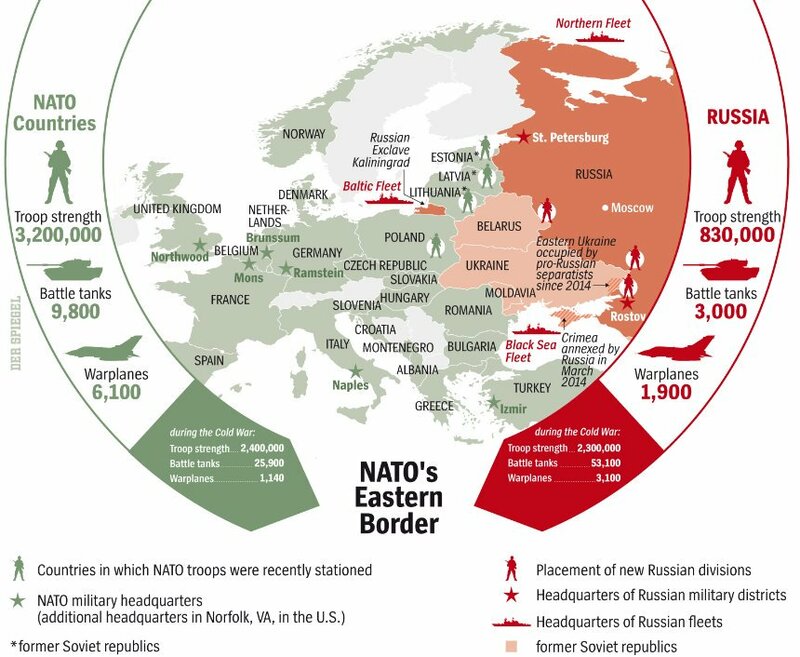 NATO expansion has contributed to the causal matrix of two wars: the 2008 Georgian-South Ossetiyan/Russian Five-Day War and the ongoing Donbass civil war. The West’s April 2008 promise that both Georgia and Ukraine will become NATO members encouraged Georgian nationalism and Saakashvili’s war in South Ossetiya and consequently led to Georgia’s de facto loss of its South Ossetiyan as well as Abkhaziyan territories. Similarly, NATO expansion encouraged the rise of ultranationalism in Ukraine, especially western Ukraine, and the ultra-nationalist-led February 2014 Maidan revolt, leading to Ukraine’s loss of Crimea and civil war in eastern Ukraine’s Donbass regions of Donetsk and Luhansk. NATO expansion now is poised to help re-start the Donbass civil war or spark a larger Ukrainian civil war (and/or similar conflicts involving Moldova and its breakaway republic of Transdnestr). Specifically, the NATO/western Ukraine nexus confounds resolution of the Donbass civil war. On the one hand, western Ukraine is the only one of Ukraine’s mega-regions that supports Ukraine becoming a NATO member, a policy NATO also supports. On the other hand, western Ukraine is the only mega-region in Ukraine that opposes all the measures that could address the grievances that drive Donbass resistance to Kyiv. All the other mega-regions have majorities that support some of the compromises that might resolve the civil war. In this way, western Ukraine, representatives of which dominate Ukraine’s Maidan government, are holding the rest of Ukraine hostage to its nationalist/ultra-nationalist orientation; an orientation that is supported in turn by the West’s policy of NATO expansion. A Western public opinion survey in October 2018 found that only 36 percent of Ukrainian citizens “want Ukraine to be a NATO member-state by the year 2030”—the poll did not include very anti-NATO Crimea and Donbass. Only in Western Ukraine is there a majority – 64 percent, supports NATO membership. This includes the ultra-nationalist hotbed of Lviv (Lvov), where 77 percent support it. In central Ukraine, 33 percent support it; this includes the capitol Kyiv, where only 38 percent support NATO membership. In southern Ukraine, only 21 percent support it. In eastern Ukraine only 17 percent. This includes the major industrial center of Kharkiv (Kharkov), where only 16 percent support it. Kherson Oblast was polled separately, and there only 28 percent support NATO membership. Therefore, the issue sharply divides western Ukraine from the rest of the country, where universally there are strong majorities against Ukraine becoming a member of the military bloc (www.ndi.org/sites/default/files/NDI%20July%202018%20SURVEY_PUBLIC_ENG_FINAL_v2_0.pdf). Despite the lack of public support for NATO membership countrywide, Ukrainian President Petro Poroshenko’s has submitted to the Ukraine’s parliament, the Verkhovna Rada, a proposal to add a new “constitutional norm” to Ukraine’s constitution stipulating Ukraine will become a NATO member (www.ng.ru/cis/2018-09-11/1_7308_poroshenko.html). The Rada accepted the submission for consideration and sent a draft to the Constitutional Court for its review in September (www.pravda.com.ua/rus/news/2018/09/20/7192667/). Whether a gimmick for his presidential re-election campaign or not, the issue of NATO expansion so used can only further polarize eastern and southern Ukraine from western Ukraine, sewing the seeds for another civil war, involving more regions. The possibility that forces in Kyiv will machinate the holding of such a referendum cannot be rejected out of hand, and that could regenerate internecine conflict in Donbass and elsewhere in Ukraine. Poroshenko’s move is in part an attempt to secure his base of support in western Ukraine as he is running behind in the presidential race, according to the polls. But this is the same western Ukraine that opposes any compromises with the Donbass insurgents; the leverage against a peace agreement is anchored in pro-NATO western Ukraine. The region holds the key to war or peace no less than the Kremlin. A January 2018 opinion survey carried out by Kyiv’s Democratic Initiative Foundation found that readiness to compromise decreases in Ukraine as one moves from east to west. Thus, 30.5% of the inhabitants of the South, 23% of the East, and 25.5% of the Donbass responded they are ready to support compromises for peace, but in western Ukraine only 8% expressed such readiness. Moreover, the survey demonstrated that only western Ukraine resists all of the possible solutions to the Donbass war. The adoption of a constitutional amendment granting special status or autonomy to Donbass (Donetsk and Luhansk regions) is opposed by 55 percent in the west and 59 percent in central Ukraine, while in Donbass only 41 percent oppose such a compromise and in eastern Ukraine and southern Ukraine only 32 percent and 29 percent oppose such a solution. A constitutional amendment that would give the Russian language the status of an official state language like the Ukrainian language is opposed by 68 percent in the west, 57 percent in the center, 48 percent in Donbass, but in the east only 29 percent oppose and 44 percent support such a compromise, and in the south only 20 percent oppose and 54 percent support such a compromise. On the issue of granting a full amnesty to all insurgents, in the west only 6 percent support full amnesty, where as in the south and east support reaches 28 percent and 29 precent in Donbass and the south. respectively. The proposal of holding elections in the Donbass under conditions proposed by the insurgents is supported only by 5 percent in the west, 9 percent in the center, 12 percent in Donbass, 19 percent in the south, and 23 percent in the east. Regarding the proposal to allow local police, court, prosecutorial personnel in the Donbass to be appointed locally by the self-proclaimed insurgent authorities in Donetsk and Luhansk, only10 percent in the west agree, 12.5 percent in the center, 23 percent in the Donbass, 24 percent in the east, and 33 percent in the south. On granting the rebel territories special political and economic ties to Russia, only 12 percent in the west support it (56 percent are against), in the center – 16 and 59 percent, respectively, in the east – 25 and 35 percent, in the south – 32 and 35 percent, and, not surprisingly in Donbass, more approve than disapprove – 38 and 32 percent, respectively. Finally, it is the western and, to a lesser degree, the central mega-regions cling to Ukraine becoming a NATO member even at the cost of continuing war in Donbass rejecting a compromise in the form of the adoption of a law instituting neutral or non-aligned status for Ukraine — i.e., non-membership of Ukraine in NATO. In western Ukraine 56 percent oppose, and only 15 percent support such a compromise. In central Ukraine, the division is again less stark – 51 percent opposed to such a law, with 25 percent approving. In the rest of the country, except for Donbass (43 percent against 35 percent for), a majority support such a compromise: in the South, “for” 52 percent support and 16 percent are opposed; and in the east – 54 percent support and 24 percent oppose the adoption of such a law (http://dif.org.ua/article/mir-na-donbasi-chi-za-bud-yaku-tsinu-gromadska-dumka13890). Thus, NATO’s continuing support for Ukrainian membership in the alliance provides political and even military cover for western Ukraine’s strong resistance to peace. If NATO expansion did not exist as a Western policy, those in western Ukraine would be forced to re-think their stance on NATO membership and opposition to compromise with the Donbass (and, incidentally, the rest of the east and the south). Washington and Brussels are well aware of this dangerous split in Ukraine as they (hopefully) were when the issue sparked the original crisis in 2013 through the trojan horse of EU membership. Nevertheless, they persist in their NATO expansion policy. Most importantly, the United States continues to refuse ending or putting an official moratorium on the policy of NATO expansion and persists in pursuing NATO membership for Ukraine. This was again made clear when US envoy for the Minsk peace process Kurt Volker stated that Washington cannot dictate such matters to sovereign states (http://nationalinterest.org/feature/amb-kurt-volker-how-achieve-peace-ukraine-24668 ). –and the adoption of a law making the OUN and UPA salute the official salute of Maidan Ukraine’s military and police. Moreover, a draft law has been submitted to the Rada that would ban the Russian Orthodox Church, with the fate of believers and their freedom of association and speech rights remaining unclear. It is not just the growing ethnic, even apartheid state aspect of the Maidan regime that is worrisome. Even in the ‘civic sector’ Maidan’s ‘free and fair elections’ are not entirely free and fair, with vote-buying rampant. And this is despite its functioning in conditions of the removal of almost all anti-regime and opposition elements from the polity by dint of the loss of Crimea and the civil war in Donbass (http://vesti-ukr.com/pridneprove/123960-v-dnepropetrovske-post-mjera-poluchit-boris-filatov). To all this can be added the murder of journalists, pogroms against Gypsy-Roma that have wounded and killed several, the storming of courtrooms by neofascist groups to intimidate judges and juries, the storming of local government institutions to intimidate public officials, and unpunished war crimes committed by ultra-nationalist and neofascist volunteer battalions. Even Western government-tied NGOs that helped in the rise of the Maidan revolt and continue to support it, despite definitive proof that the regime was born of a neo-fascist terrorist false flag operation that saw neo-fascist snipers shoot police, demonstrators and journalists that sparked the overthrow of president Viktor Yanukovych on 20 February 2014, are beginning to shyly ring the alarm bell, with both Freedom House and the Atlantic Council having done so, not to mention international human rights organizations. Yet putting aside their democratization principles, Western governments have proven willing to hold hostage even a present NATO member’s (Hungary’s) attempts to protect the minority language rights of its ethnic kin in Ukraine to the Ukrainian chauvinism of western Ukraine. The US State Department recently appealed to Budapest to not allow the new Ukrainian Law on Education get in the way of Ukrainian-NATO cooperation, after Budapest warned it will block any Ukrainian bid for NATO membership if the new Law on Education is not amended (www.pravda.com.ua/rus/news/2018/10/4/7194143/). As long as this bending over backwards to accommodate the Maidan regime’s dependence on ultra-nationalism and neo-fascists for the NATO expasion’s sake, we can expect growing polarization in Ukraine — now not just between the west and Donbass but between the south and east, on the one hand, and Kyiv, on the other hand, as well as within the south and east and even in Kyiv where there are substantial ethnic Russian, Russophone populations. One can therefore also expect more pushback from Moscow, perhaps some of it rather nasty. What is happening in Ukraine justifies the worst fears and claims of the most inveterate anti-Western Russians, playing into their political hands in power struggles on the streets and inside the Kremlin. In other words, the West is repeating the mistake it has already made several times with each successive round of NATO expansion, lemding unwitting support to the worst elements in Russian politics. Moreover, the support of polarized sides by outside powers in the West and from Russia is crucial in the ongoing Donbass conflict and the rise of tensions in the south and east. Indeed, civil wars are quite often caused and prolonged by foreign actors supporting the internal combatant sides, and in such cases it is only the firm intent to secure the peace that convinces the civil war’s opposing sides to sit down in earnest at the negotiating table. For example, for South Yemeni president, Ali Nasser Mohammad, has spoken of how in the latter period of the 1960s’ North Yemeni civil war, the opposing Yemeni sides could not reach agreement through bilateral negotiations. Only when their main foreign patrons, Egyptian President Nasser and Saudi King Faisal, came to an agreement on ending the conflict was progress made in the inter-Yemeni talks. It would be prudent for the West to at least begin reigning in Ukraine’s ultranationalist inclinations and pushing it to negotiate directly with the Donbass insurgent governments. For Moscow’s part, it should do the same in relation to Donbas and refrain from exacerbating tensions elsewhere in the south and east of Ukraine. Trump and Putin must aggressively engage on these issues, especially as President Poroshenko and other presidential candidates are likely to be rushing to outbid each other in terms of their nationalist credentials for the duration of the presidential election campaign leading to further provocative steps. They must also show restraint in their own actions, in particular with regard to NATO’s growing military build up in eastern Europe and Polish proposals for a military base in that country. Otherwise, the danger of a war in 21st century Europe will only grow. About the Author – Gordon M. Hahn, Ph.D., is a Senior Researcher at the Center for Terrorism and Intelligence Studies (CETIS), Akribis Group, San Jose, California, www.cetisresearch.org; an expert analyst at Corr Analytics, http://www.canalyt.com; and an analyst at Geostrategic Forecasting Corporation (Chicago), www.geostrategicforecasting.com. Dr. Hahn is the author of the four books, most recently Ukraine Over the Edge: Russia, the West, and the ‘New Cold War. Previously, he has authored three well-received books: The Caucasus Emirate Mujahedin: Global Jihadism in Russia’s North Caucasus and Beyond (McFarland Publishers, 2014), Russia’s Islamic Threat (Yale University Press, 2007), and Russia’s Revolution From Above: Reform, Transition and Revolution in the Fall of the Soviet Communist Regime, 1985-2000 (Transaction Publishers, 2002). He also has published numerous think tank reports, academic articles, analyses, and commentaries in both English and Russian language media. Putin's 'Sistema': Authoritarian Imbalance Growing?